How would your day look without electrical power? Given the fact that we rely on information technology every single minute of our lives (well, mostly), this would be a very dark outlook indeed. Knocking out the power grid is a tactic used by the military. They have even special tools for disabling power lines and transformer stations. Progress has enabled network access for power plants and other parts of the grid. It’s not all about hacking stuff. There is a lot more involved when it comes to critical infrastructure, and this is why we have asked Herbert Saurugg, a renowned specialist on this topic, to conduct a presentation at DeepSec 2017. Cyber Security and Critical Infrastructure Protection (CIP) are major topics almost everywhere. Its priority has also increased during recent years because of rising incidents, even if the focus is still on a sectoral approach and on prevention. And there’s the issue of delayed detection. How to cope with significant infrastructure interruptions if protection efforts fail and possible cascading effects occur is hardly public knowledge, nor do people have the necessary capabilities to deal with them. The shared belief that it won’t happen is still overwhelming. But it could be a Turkey-Illusion. DDoS, IoT-attacks, ransomware, vulnerabilities, unpatchable IT-systems, … the list of current IT-problems and challenges is endless. Every security expert daily fights an unwinnable battle. But what would it mean to our society, if infrastructure systems fail on a broad scale? How can we reduce these risks? And how can we make infrastructures more robust and people resilient? This talk will look at cyber security from a different perspective and open your eyes to a hardly recognised danger to our modern and heavily interconnected world. 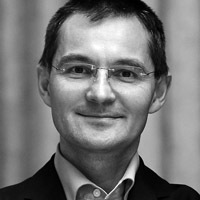 Herbert Saurugg has been a career officer in the ICT-Security Section of the Austrian Armed Forces until 2012. Since then he has been on leave and is engaged in raising awareness about the increasing systemic risks due to the rising interconnections and dependencies between many Critical Infrastructures, which is contributing to extreme events. He is known as an expert on the topic of blackout: a Europe-wide power-cut and infrastructure collapse. He is also a founding member of the association Cyber Security Austria which is the mastermind behind the European Cyber Security Challenge. As a result of his systemic reflections he is calling for more efforts to raise awareness and resilience throughout our societies to face major extreme events in the foreseeable future. This entry was posted on September 29, 2017 at 08:05. You can follow any responses to this entry through the RSS 2.0 feed. Both comments and pings are currently closed.